The Homeschool Buyers Co-op is pleased to present GroupBuy savings for Kaplan PSAT, SAT or ACT Online Prep software from market leader Kaplan. Experts tell us that the key to increasing test scores is to practice, practice, and practice, especially in the areas where the student is weakest. Kaplan PSAT, SAT, and ACT Online does just that -- first, by helping your student assess his or her area of weakness, and then by providing remediation with lessons and exercises. In addition to lessons and exercises, each course lets you take FOUR practice tests (SIX for the SAT) with online scoring. While most students require 2-3 months to prep for the tests, Kaplan gives your student 6 months of access to the course. 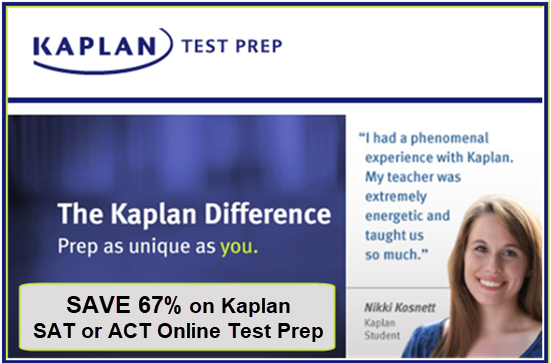 With 70 years experience preparing students for the SAT, and ACT tests, Kaplan is an acknowledged leader in test prep solutions. Now, for the first time and exclusively through the Homeschool Buyers Co-op, homeschoolers have access to Kaplan's online PSAT, SAT, or ACT Online prep programs at a deep discount. Fulfillment: Within 10 minutes of receiving your order, the Co-op will publish a special promo code in your Co-op account's "My Subscriptions" page that will let you enroll in Kaplan's New SAT, ACT, OR PSAT self-paced courses directly with Kaplan for no additional charge. Simply sign into your Co-op account. You'll see your "My Subscriptions" page. Scroll down until you see the "Kaplan SAT/ACT Online" section. IMPORTANT: You will have access to your course for 6 months from the time you enroll, so, although you can purchase the promo code at any time, you should hold off enrolling until you are ready to start doing your test prep work. 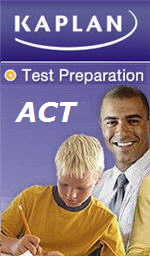 Most students require 2-3 months to prep for the tests. Kaplan's self-paced online ACT course features 50 hours of instructional lessons by expert ACT teachers, proven strategies, and interactive course work including hundreds of practice questions. With this flexible and convenient option, you can prep on your own schedule with 24/7 access via all mobile devices. You'll get all of the content review, test-taking strategies, and practice you need to score higher on the ACT. 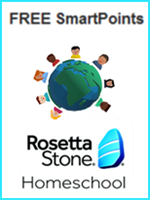 This course features hours of instructional lessons by expert Kaplan teachers, proven strategies, and interactive course work including hundreds of practice questions. With this flexible and convenient option, you can prep on your own schedule with 24/7 access via all mobile devices. You'll get all of the content review, test-taking strategies, and practice you need to score higher on the SAT. Note: This course does not include the the SAT lesson book. Kaplan's PSAT Online Self-Paced Course features instructional lessons taught by expert PSAT teachers, proven strategies, and interactive course work including practice questions. With this flexible, convenient, and mobile option, students can prep on their own schedule with 24/7 access to their online test prep resources. Note: This course does not include the the PSAT course book. College Admissions Zone, a one-stop resource to support your path to college, including researching colleges, unlocking financial aid, and more. Help your child succeed in arithmetic, algebra and geometry with our new online Math Foundations - Self-Paced course. Math Foundations will help your student conquer high school math and be confident going into preparation for the PSAT, SAT and ACT. Note: Because this course covers math topics and not the tests, it does not include any SAT or ACT practice tests. Math Foundations does not qualify for Kaplan's Higher Score Guarantee. What Makes Math Foundations Unique? This self-guided study plan includes all the features of SAT Self-Paced, plus hundreds of additional hours of live, interactive video instruction from Kaplan's top instructors - walking students through the strategies and concepts needed to tackle every topic on the SAT. Live interactive sessions on the topics you choose and instant one-on-one help with all your questions. Note: This course does not include the course/practice lesson book. What Makes SAT Live Online Essentials Unique?